I remember a time when the Feast of the Annunciation (Latin Vulgate Luke 1:36-39 Annuntiatio nativitatis Christi) was a Feast Day. We wore our best clothes and went to mass to celebrate the day on which the Archangel Gabriel told Mary that she would give birth to Jesus, the long-awaited Saviour. 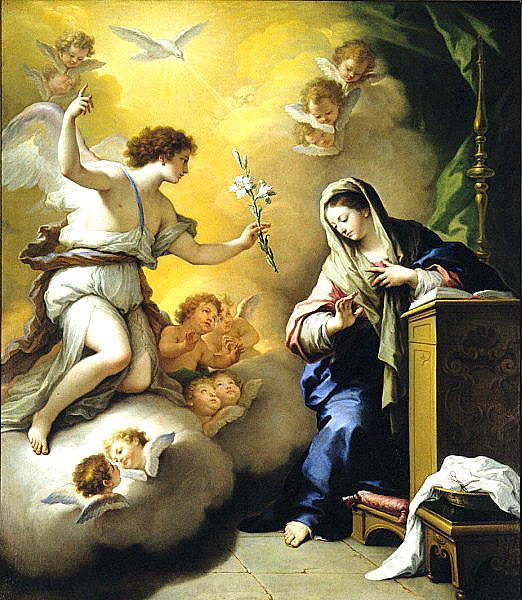 However, we never associated April Fools’ Day with the Feast of the Annunciation. When I saw that April Fools’ Day could be celebrated on March 25th, and that the Feast of the Annunciation was a precursor to April Fools’ Day, I was a little puzzled. For members of my family, the Feast of the Annunciation was a Christian feast and April Fools’ Day, a lay feast, and both were celebrated. April Fools’ Day was the day when you pinned a paper fish on the back of one of your siblings clothes. It was not easy. We also celebrated All Saints’ Day, la Toussaint, a feast that takes place on November 1st, but Halloween was not an important event. Mother would not allow her children to go out in the dark and knock at people’s doors. So Halloween was a family event. For us Halloween was the day on which we ate pumpkin pie and admired the light from the candle mother had placed in the pumpkin after she had emptied it out of its contents. The pumpkin had eyes and a mouth. Not only did mother bake pumpkin pie, but she also made orange and pumpkin marmalade. My mother’s marmalade is the best I have ever tasted. As for the Edict of Roussillon, promulgated in 1574, we did not know about it. For us, January 1st was the first day of the year. The Good Thief to the right was crucified next to Jesus. The Hail Mary, the Ave Maris Stella and the Magnificat are also part of the Marian hymnology. Their story is told on the Notre-Dame de Paris site (in French or English). Simply click on the links above (Hail Mary) and you will also hear the music. Once again, we have evidence that ‘pagan’ feasts were replaced by Christian feasts and that feast days were determined by the Seasons and, more specifically, by the degree of day light compared to darkness, i.e. solstices and equinoxes. It was a rather easy and sensible transition.